Dave the Squirrel - On Facebook! 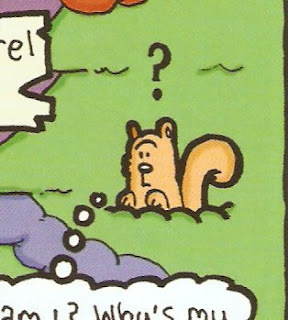 Andy Fanton's critty creature Dave the Squirrel now has a facebook page! You all know who Dave is - that miserable mammal who makes cameo appearences in Andy's stories, sometimes angry or confused (sometimes both)! Make sure you go to Dave's Page and like! Like! Like! 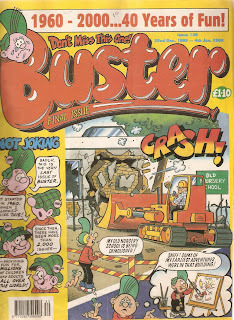 In 1960, IPC launched a new comic, called Buster. The comic was very successful, as you probably all know. Unfortunatly, in 1999, the comic came to a close. The reason for this is that Egmont (who owned the comics copyright, and still do) were putting their money into other things and couldn't be bothered with it anymore. 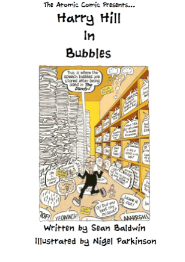 It's sad really because maybe if they had hung onto it a little longer sales would have gone up again, and Buster would still be on our shelves today (well, it sort of was last year, with the hard-to-find special). On the cover Dennis the Menace was winning against a team with no goalie. To me, it felt as thought the comic itself had no goalie. 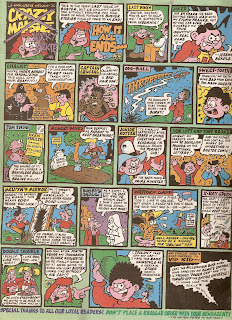 There were 5 pages of non-beano related adverts (four were the same adverts as the Dandy, and on the same pages, see previous post.). A not very funny Meebo and Zuky. Other bad things included; The Bash Street kids pull out, Freds Foul Facts (which, according to the cover, is NEW! 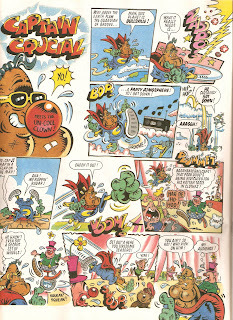 ), Rogers dodge diary and only one page of Retro Beano (A classic and funny story, non-the-less). Apart from those few things, it was a good issue. An old Dennis the menace story-line with a modern day twist (sort of), yet more outstanding artwork from the hands of Ken Harrison with Minnie the Minx, and a funny Gnashers Bite (see below image). Surely that sums up this issue!? No? Okay, Meebo and Zuky have a new background (which is of the pair stuffing bombs down each others throats, and things like that). Kevin the (pet) pebble made another STAR appearence in the Bash street kids (which was brilliant, except for the old joke in the last box...). The RATZ artwork by Hunt Emerson this week wasn't good, it was incredible! - My favourite box (including title box)was No 6 (with the dark figures against the red background)! 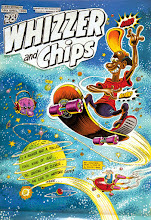 Overall then, this is one of the Beano's better issues, despite the adverts. So buy it or I'll make you do something bad. You've heard of Jedward, right? 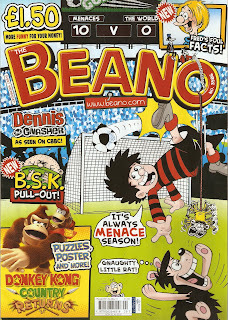 ___________ Beano #3568 - only £1.50, out now! 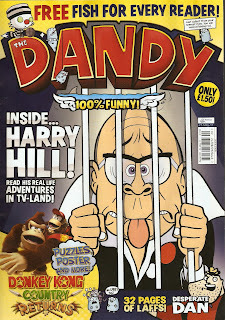 Beano 3D revew AND This week's Dandy!!!! Okay, I apologise. 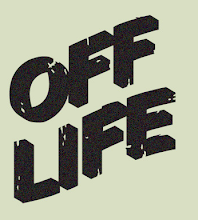 It's been a week since my last blog and that week has just flown by (for me at least). 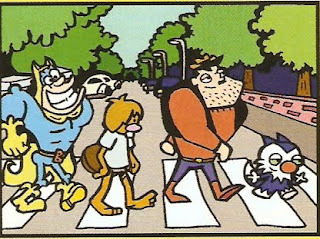 Anyway, with the Beano 3D annual, I'm going to say this once, and only once. There, I said it. 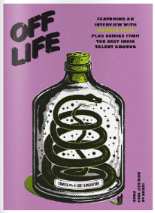 Is that enough to make you go out and buy it? If not, read on... (Not that you can actually go OUT and buy it, as it can only be purchased online.) First of all, the 3D was good. Just in case you didnt want to remove your 3D glasses (?) or something like that, you don't have to. 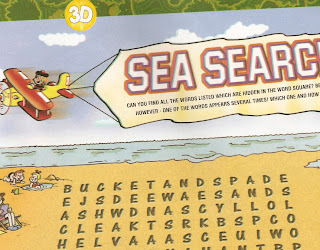 You see, the 3D pages (mostly the puzzle ones, about 5) were in such slight 3D that you can still read it without them. If you don't believe me - look at the scan below: Now for a bad point, as every comic has one. It is almost one-hundred-percent reprints. The only exception is the Ivy the Terrible strip, drawn by the amazing Diego Jourdan. I hope the Summer Annuals catch on and come back around for years to come! 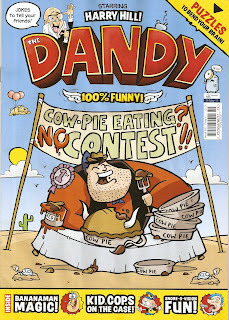 This weeks Dandy out now (or sometime soon) only £1.50! ARRRRRR!!!!!!! Pirates of the Caribeano! 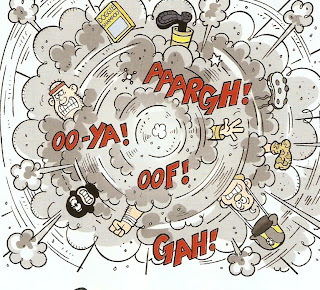 Surprisingly, I enjoyed this weeks Beano MORE than the Dandy (for the first time since the Dandy revamp)! Maybe it was Barrie Appleby's amazing Dennis the Menace artwork, or Ken H. Harrison's Minnie the Minx (with the striped background, or even the 50's "As the bell rings stories"! Another enjoyable bit is a whole page of Gnasher! A bit like Gnasher's Tale, Gnasher bit(e) shows a story from his point of view, and this week with quite a funny ending! An amazing way to finish off the comic. I enjoyed all of these, but of course, a brilliant comic always has a down-side. First of all, I didn't quite understand the Ratz story, but never mind. The artwork was good. Also, with the Bash street Kids pullout, it isn't a pull-out. It just isnt. 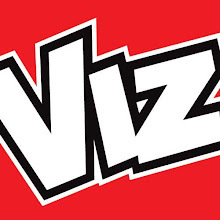 Just because you've got readers drawings on page 15 and jokes on page 18, does not make it a pull-out. It's been on the centre pages for years and so technically it's always been a pull-out. Freds foul facts (which I find is ok) and Roger's Dodge Diary (possibly a modern day version of Roger's Dodge Clinic) aren't going down well with the readers. Maybe Sterling will replace them with something else, maybe even a new character! Who knows? On the other hand this weeks Dandy was good, but some parts were boring and pointless. Ok, so Kid Cops, Justin Beaver and George vs Dragon were good, I found that the Supervision Song contest voting cards and Eurovision Wrong contest were boooooooring! Bananaman wasn't brilliant this week either. 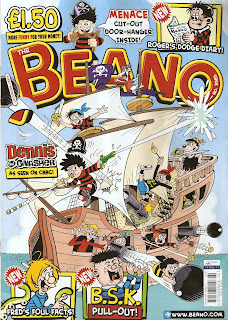 Ok, I'm going to start blogging normally again as from my next blog, which will be a review on The Beano 3D Annual. 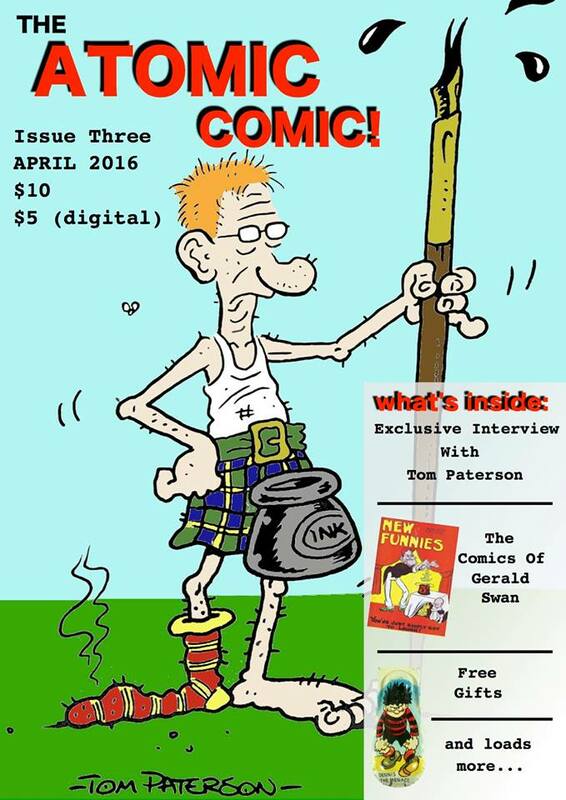 The Broons and Oor Wullie - Summer annual!